Zoran The Painter uses Ransburg R90 and the rest of equipment that is compact and portable to brighten up most ferrous and nonferrous metal objects. Our technicians are experienced, factory-trained electrostatic painters who can easily and efficiently breathe new life to your equipment and increase its life expectancy. We can custom color match according to Our Client’s preferences or match to existing paint colors – whatever you want is followed by out team of experts. What is Electrostatic Spray Painting? Electrostatic painting is an innovative technique that works on the known principle of “opposite attracts.” It is meant for spraying on metal objects by positively charging the paint and negatively charging the object to be painted. This creates an attraction between the painting and the object that is being painted just like a magnet which results in a better finish, less over spray, better efficiency for the painter and a lower cost for the consumer. Why Choose Zoran The Painter For Electrostatic Spraying? The highly trained teams at Zoran The Painter are experts when it comes to masking off areas to take great care in protecting your facility. Zoran The Painter experts follows strict safety standards in accordance with the Occupational Health and Safety and Environmental Management Procedures in Australia. We are fully licensed for all the tasks we undertake, which makes us the best choice for the customers. One of our employed teams will bring our specialised portable equipment required for electrostatic spraying to your premises, so you do not have to go through the hassle of dismantling the object to be painted and transport it to us. Zoran’s professional teams also work according to the schedule that suits you. Many of our clients request the electrostatic painting to be carried out during the night so the business can resume normally the next day. As is our motto – your choice is our job! Where Can Electrostatic Spraying be Used? …and many other products made of architectural metal work. 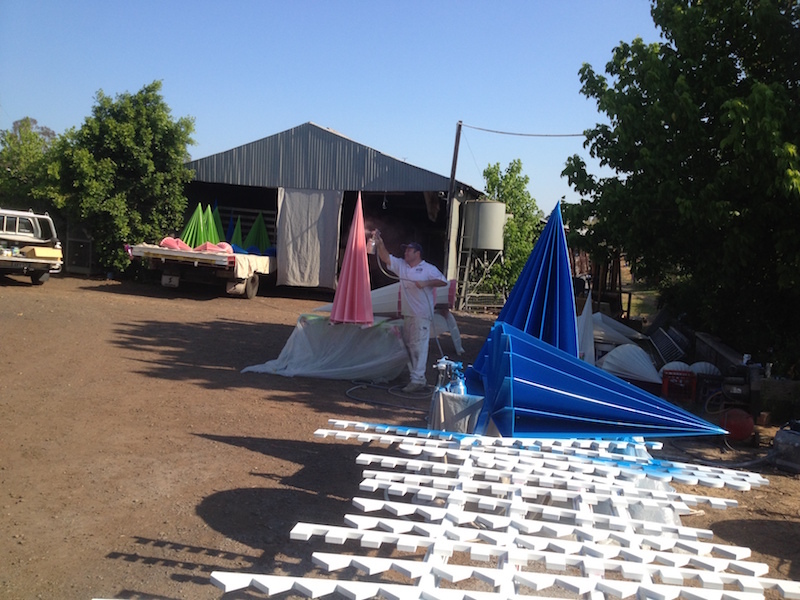 Zoran The Painter has electrostatic spray painting teams located throughout Sydney. Restore your old metal object to its original lustre with a fresh coat of electrostatic paint. Please contact us at 1800 825 258 for more details and a free quotation. Check out our website for more in-depth information on the electrostatic method of spray and applying paint. You can also send us an email and one of our technical experts on hand will get back to you as soon as possible.